Texas Contractor Testimonials from Texas-Contractor-Insurance.com. 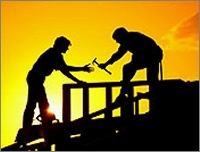 Fast Online TX Contractor's Insurance Quote. Jim & Missi Lara � Lara Electric, Inc.
Brad Garrison � Cal Coast Electric Co.